HP Omen reckons it has a solution to stuffy gaming headsets: the Omen Mindframe gaming headset. An audio peripheral unlike most others. While the usual approach is to passively cool your ears with special fabrics and materials, there’s only so far that approach will get you 10 hours into a game of Cultist Simulator. 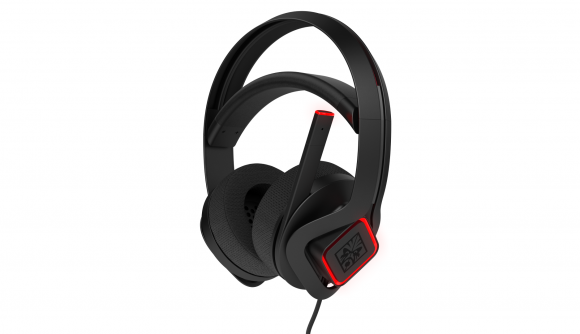 The HP Omen Mindframe headset is designed to actively cools your ears instead. Yeah, you heard me, active ear-cooling. Omen has expanded its range in the past few months, and the gaming company, which usually sticks to prebuilt PCs, has now branched out into gaming peripherals. One of the most stand out of which has to be the Omen Mindframe gaming headset. With a breathable material on top and active, yet silent, cooling inside, it aims to rid gamers of uncomfortable ear lobes and sweaty chops once and for all. We just gave the headset a whirl over at Gamescom, and I’m pleased to report I didn’t lose my ear to a tragic headset fan accident during the hands-on. Instead, the design makes use of a thermoelectric design. This design requires seven unique patents to get the job done within each ear cup, which for obvious reasons Omen doesn’t want to talk about. Omen call’s the thermoelectric tech FrostCap. Since Mindframe’s reveal back in May, Omen has also added noise cancellation, breathable ear cup fabric, and sidetone feedback. The headset is well-built, too. While I only had hands-on with an engineering sample, the headset itself was comfortable and featured all the usual stuff you’d expect to find on fully-fledged gaming headset. But Mindframe is all about the cool factor. The cold plate area is located within the inside of the ear cup, surrounded by a breathable fabric. It’s pretty darn cold too, with Omen’s secret blend of seven herbs and spices getting the job done admirably. But the heat hasn’t just vanished into thin air, and there’s a very noticeable warmth emanating from the outer shell of the earcups. I’m told this is a symptom of the early engineering sample, so hopefully by the October launch window Omen has ironed out the bugs and nailed a solid audio profile to go with it. Also, for €199 they will cost you a pretty penny. But that’s almost certainly indicative of the pretty novel feature that active cooling headphones actually are. 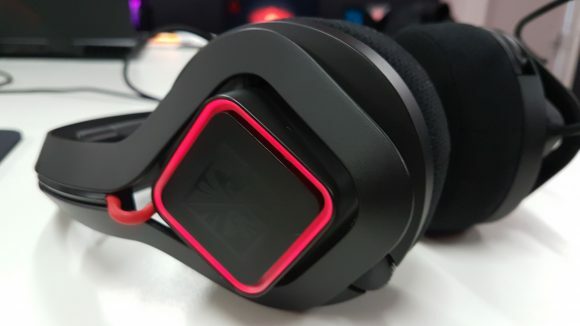 HP Omen’s Mindframe headset is certainly bringing something new to the table, but whether it’s ready to join the ranks of industry-wide innovations, such as RGB lighting or wireless charging, I’m not so sure. They’re different to say the least.